Norflox Tz is the combination of three active ingredients like Tinidazole, Norfloxacin, and Lactobacillus. It is Manufactured by Cipla Ltd.
Norflox Tz tablet is used for certain bacterial infections or allergic reactions and belongs to the class of quinolone antibiotics. This is not a complete list of uses. Your Doctor may use it for other condition not listed above. Following are some of the side effects associated with the use of Norflox Tz tablet. Norfloxacin carries a black box warning that warns doctors and patients of the raised risk of tendinitis and tendon rupture. Please inform your doctor if you experience any adverse reaction to the medication. Consult your doctor if you observe any increased anxiety, insomnia, or increase in heartbeat or if you suffer any skin allergy. Consult your physician if you are on blood thinning drugs such as warfarin. Consult a physician in case of the second and third trimester of pregnancy. Do not drive and operate heavy machinery. Norflox Tz may interact with the following drugs and products. Always ask your doctor before using this medicine with other drugs. The dosage is one tablet twice daily for 5 days. It is advised to use this medicine as directed by your doctor. Consult your doctor for proper advice on dosage schedule as it depends on various factors. Norflox Tz is not recommended for pregnant women, but only when it is urgently needed and the benefits are considerable compared to side effects. Ask your doctor before using this medicine. Norfloxacin is not indicated while breastfeeding. Ask your doctor if you are breastfeeding before using this medicine. 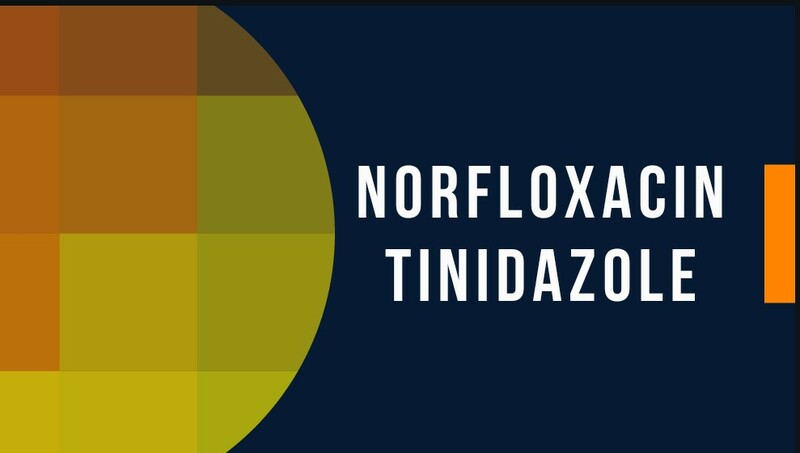 Norflox-TZ Tablet is a combination of three drugs: Tinidazole, Norfloxacin, and Lactobacillus. Together, they effectively treat your infection. Tinidazole is an antibiotic that kills bacteria and other infectious microorganisms by damaging the DNA. Norfloxacin is also an antibiotic that kills bacteria by preventing them from reproducing and repairing themselves. Lactobacillus is a living microorganism that restores the balance of good gut bacteria that can be compromised by the use of antibiotics or intestinal infections. 1. What is Norflox Tz? It is the combination of three active drugs like Norfloxacin, Tizanidine, and lactobacillus. It is used in different conditions. 2. What is the use of Norflox TZ? 3. what happens if I miss a dose of Norflox Tz? If you miss a dose, you should take this medicine as soon as possible. It is important that you do not miss the pill once a day. 4. What happens if I overdose on Norflox Tz? In case of accidental overdosage of the drug, you should immediately consult a doctor to avoid serious consequences. 5. Is Norflox TZ Tablet safe to use during pregnancy? No, this product contains three active ingredients. They are contraindicated during pregnancy. 6. Is Norflox Tz Tablet Safe During Breastfeeding? Norfloxacin and tizanidine are not safe during breastfeeding. Ask your doctor if you are breastfeeding before using this medicine. 7. Should I use Norflox TZ Tablet empty stomach, before food or after food? The Norflox Tz tablet should be taken by the doctor or a nutritionist in the prescribed amounts. It is recommended to take this medicine with a meal or immediately after a meal. 8. Is it safe to drive or handle heavy machinery when using this product? If drowsiness, dizziness, hypotension, or headache are side effects of Norflox Tz Tablet, it may not be safe to operate a vehicle or operate heavy machinery. Store medicines at room temperature and away from heat and direct light. Do not freeze drugs unless indicated in the package leaflet. Keep medicines out of the reach of children and pets. Do not dispose of the medication in the washroom and do not dispose of it in the sewer unless invited. Discarded medicines can pollute the environment. Please consult your doctor or pharmacist for more information on how to safely dispose of the Norflox TZ tablet. 10. What happens if you take expired Norflox Tz? Taking a single dose of Norflox TZ Tablet is unlikely. However, talk to your primary health care provider or pharmacist for advice or to feel bad or bad. The expired drug may become ineffective in the treatment of the prescribed conditions. For safety, it is important not to use expired medicine. Remember that this is a fluoroquinolone. There are five black box warnings for serious adverse effects. Of you have reacted to Cipro, Levaquin, or Avelox it’s best to avoid this as well.